On a dim street, set between nightclubs, Buonanotte’s exterior isn’t overly flashy, until entering and you’re met with high ceilings, glitzy décor and a large statement bar. The venue is normally a resto lounge, yet easily transforms into an event space for corporate parties or even a cocktail/food station style wedding. 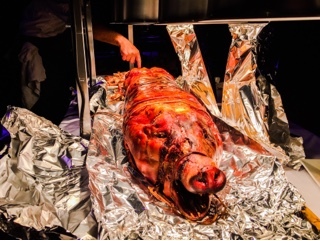 Their third anniversary party simply promised “eats”, but when a whole roasted pig gleamed from a warming station, I knew we were in for a treat. Especially, when I scored an extra piece of its crispy skin to tuck into a bun loaded will chunks of pork slathered with truffle aioli and arugula. 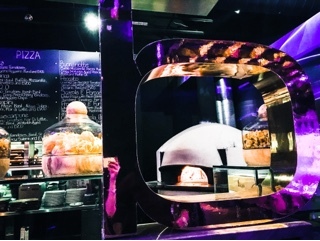 A large pizza oven churned out blistered thin crust pizza. 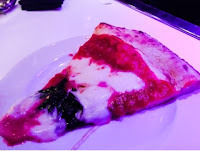 The slice of margherita was too heavily sauced, creating tons of flavour but rendered the crust soggy, but did have adequate amounts of gooey fior di latte and basil. Having gone to a growing number of large-scale media parties, I commend Karyzma and Buonanotte for thoughtfully situating the food. The stations’ layout helped avoid lineups and allowed guests to sample “like” items together. 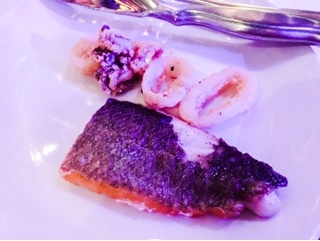 Moreover, when food was first brought out, servers also circulated with hors d'oeuvres of tuna spoons, grilled octopus and other canapés; so most guests continued to sip their drinks and chat, alleviating the crowds forming at the buffet areas. After some lighter bites, my friend and I made our way to the food stations finding a great selection. 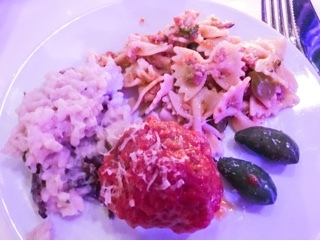 Heartier options such as the farfalle del Mediterraneo, a cheesy ragu-stype pasta, and sizeable meatballs were delicious. The risotto, a daring item to serve as a buffet, retained a creamy consistency but was overly salted. Buonanotte certainly knows how to prepare seafood. The branzino was graced with a crisp skin and salted enough for flavour without consuming the fish. Crisp lightly floured rings of fried calamari were popular amongst the crowd and addicting to munch on. 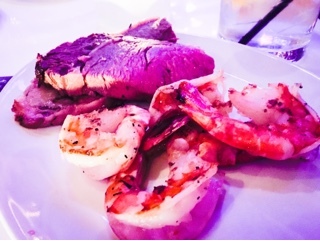 Yet it was the perfectly cooked and seasoned prawns that impressed me most, a wonderful compliment to the roast beef (a nice medium doneness for such a large crowd) allowing me to do a take on surf and turf. It’s a great venue for large groups. With two bars and numerous servers circulating, I was never without a drink or left with dirty plates. Plus, the restaurant gives a vibe that it’ll morph into a loungier locale after dinner service dies down; a DJ perhaps even enticing diners to dance and work off all those calories. 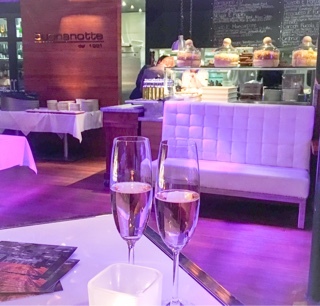 Whether you’re there for food, drinks or the atmosphere, just go with a good attitude ready for fun – after all, as Buonanotte’s name implies, they’re wishing you a “good night”.